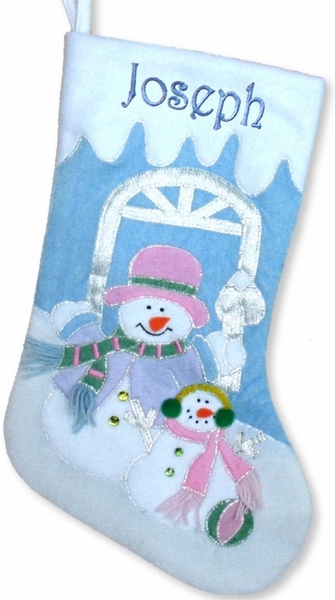 Personalized Blue Snowman Stocking. Gorgeous. Oversized. Luxurious! Shimmer Blue Velvets and Metallic and wool appliques. The snowman's buttons are gems. Free of charge, the name is machine embroidered in Block Print onto the plush white cuff of the Christmas stocking in baby blue metallic thread.